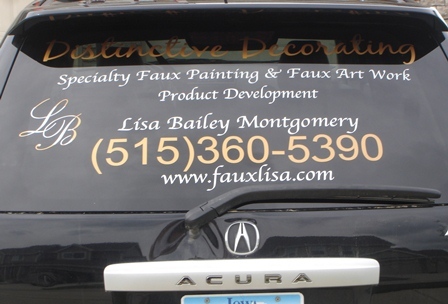 Let us help advertise your business or organization on your vehicle! We CUSTOM cut any lettering, designs or logo's that you choose! We are even able to CREATE A LOGO for you! Call (515)865-4819 or email Xpressables@yahoo.com for a free estimate today!